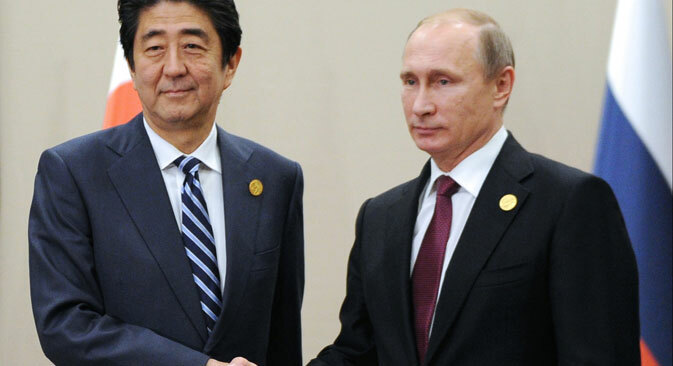 Shinzo Abe and Vladimir Putin will meet on the sidelines of the Eastern Economic Forum. Economic, Trade and Industry Minister Hiroshige Seko to take up the role. A day before his meeting with Russian President Vladimir Putin in Vladivostok at the Eastern Economic Forum (EEF), Japan's Prime Minister Shinzo Abe added a new ministerial post to his cabinet to promote economic cooperation with Russia, Japan's national public broadcasting company NHK reports. According to NHK, Abe decided to appoint the incumbent Economic, Trade and Industry Minister Hiroshige Seko, who will fulfill both roles. Before this decision was made public, Kyodo quoted sources in the government as saying that Japan was ready to invest in the Russian Far East even without a World War II peace treaty being signed between the countries. Read more: Is Russia shifting its Asian economic focus away from China?